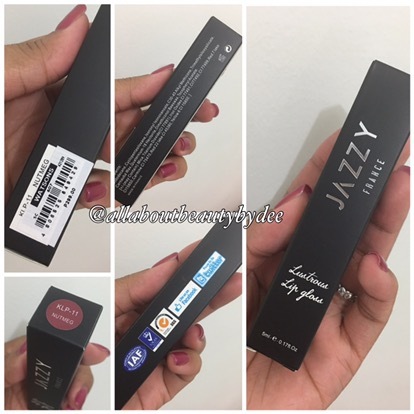 This is a product review for Jazzy France’s Lustrous Lip Gloss. JAZZY FRANCE is the long-lasting, high definition (HD) mineral makeup line from France. Known for its complete array of professional quality makeup that are internationally accredited and certified safe for everyday use, it is preferred by elegantly modern women who want value for money. With inviting counters located in SM Department stores, Watsons and regional malls all over the country, its accessibility is strengthened through the support of its passionately educated makeup artists who gladly offer complimentary makeup trials to satisfy your tasteful standards and cosmetic needs. Amazingly kiss-proof, this opaque matte lip cream keeps your lips looking gorgeously made up for hours. It has always been my goal to highlight brands and products that are available in our local stores. I understand that not everyone has the time or the trust to puchase items online. I’ve watched gazillions of youtube videos and read blogs but not a lot of them mentioned the brand Jazzy France and its products. 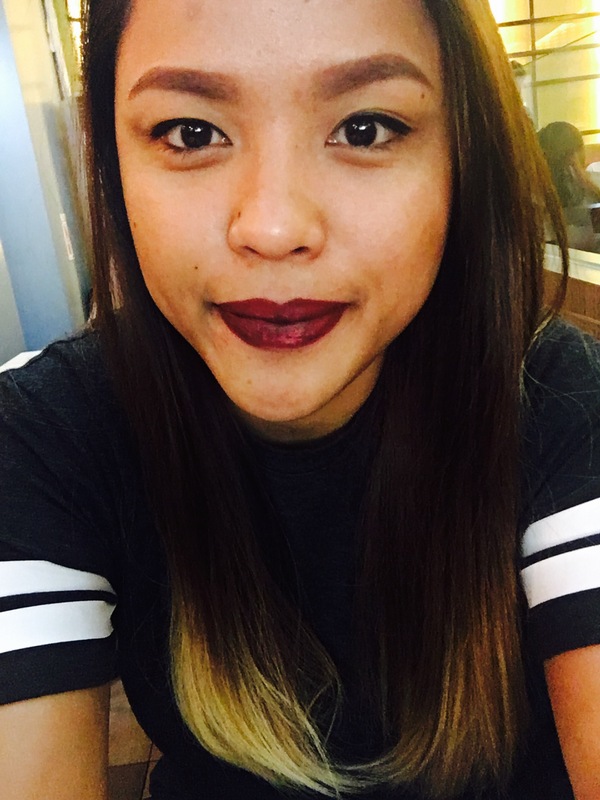 I saw their small stall at SM Makati when I was checking out Ever Bilena’s new lipsticks. I noticed this lustrous lip gloss collection and decided to grab 1. 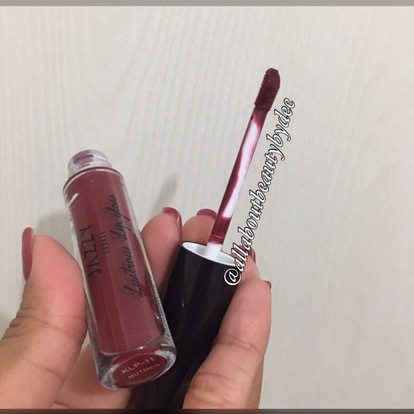 They have a really good variety of shades but since I love my dark lipsticks, I picked Nutmeg which is a deep red (looks like maroon, almost plum-ish). The packaging is pretty typical. It will cost you P299 for a 5-ml worth of product. You will see many info from the box – ingredients, manufacturer details and the shade at the top. The actual product is stored in a light weight glass but I’m still not sure if I like the cap. Its shape is unique and kinda weird at the same time. I love how you can see the actual shade of the lipstick just by looking at the glass. It is so easy to apply the product. I like the formula because it’s so sticky yet not too liquidy. 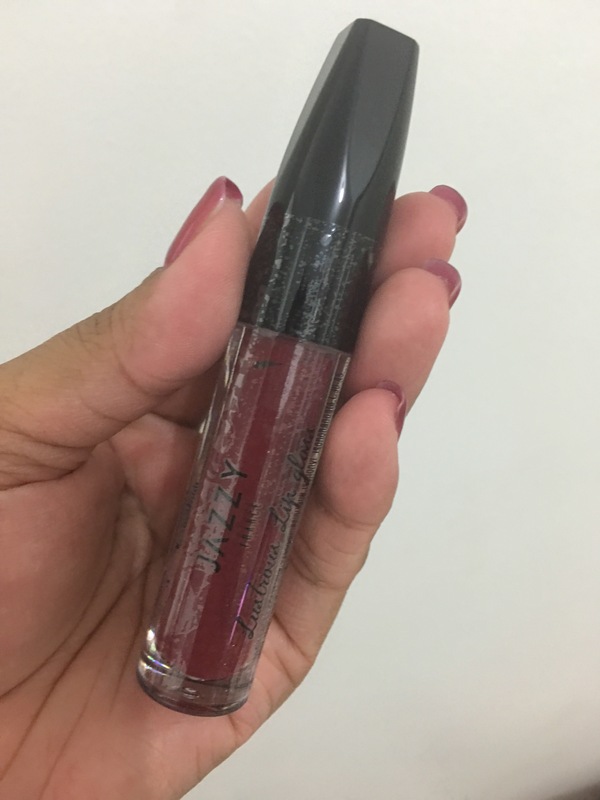 Despite the label “lip gloss”, it is not glossy at all. It dries really fast and is super matte. 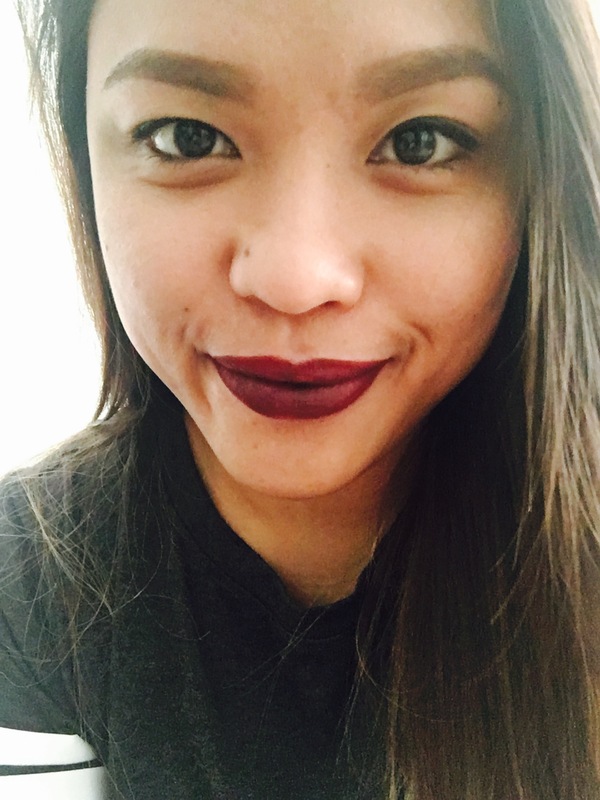 I love how it looks on my lips after just 1 or 2 swipes. It is pigmented and this is definitely a shade I would wear. The product claims to be transfer proof and that is so true. Once it sets, it is definitely transfer proof. They also claim that applying a lip balm after this product improves its longevity. That didn’t happen to me. It just made it sticky and transfer quickly to my coffee cup. Today, I took this to a road test. Like the first time I swatched it, I was so impressed with how quick it dries and turns to a matte finish. BUT, I discovered 2 things about this product that are just disappointing to me. 1. While in the cab to the mall we’re heading to, I was told that my lipstick is fading. I touched my lips and felt that it’s too dry and the lipstick was flaking off. 2. After eating, I did a lipstick check and it was heartbreaking to see the entire inner portion of my lips gone after eating 1 meal. I only ate 2 tempuras and half of chicken katsu (I usually eat more than this. LOL) I did not expect it to stay in tact because of the price but I did not expect it to be this bad. I tried reapplying but I just can’t seem to make it look even. You’d have to remove all remaining lipstick first then redo it so it would look pretty. This could work if you won’t be eating or drinking for a couple of hours. Personally, I do not recommend this lipstick or lip gloss. 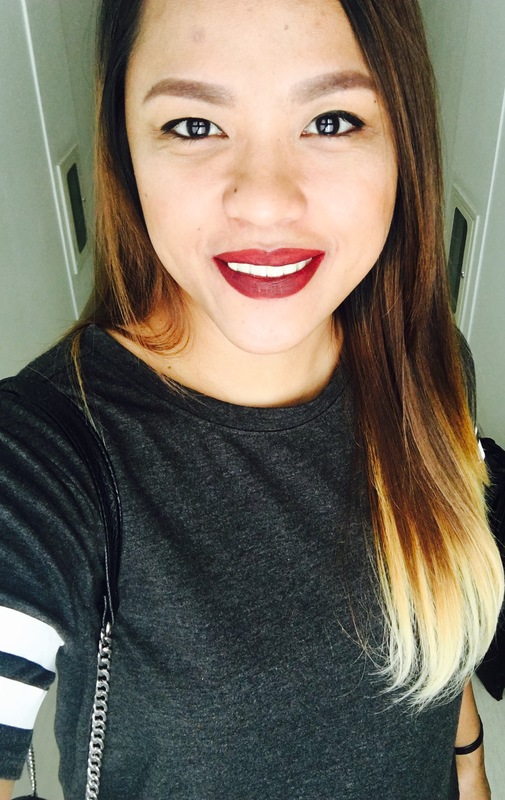 There are a lot of lipsticks that you can buy for 299 pesos or less that can do a better job! Hope you ladies finds this helpful! Have you tried this before? Did you get the same experience? What other products you want me to try for you? Subscribe to my blog (if you have not) and leave a comment below.